While traveling abroad, you may feel at times that things are out of your control. Flights may be delayed, reservations may have been cancelled, or luggage may be lost in transit. Unfortunately, this is the reality of traveling abroad. However, weight gain while traveling does not have to be a reality. You can take total control of your exercise and food choices while traveling so you return home without unwanted pounds. As you should know, being on vacation is not the time to try to lose weight, unless you’re at a health spa. Maintaining your weight while traveling is much more sensible and doable. Enjoying the wonderful food is part of the traveling experience. It may seem like it might be difficult to maintain your weight while on vacation, but mindful thinking and a little planning can put you on the right track. Follow the tips below to plan your healthy trip abroad. Plan on when you are going to eat meals. It may be tempting to keep buying snacks throughout the day, but if you stick to planned meal times and one or two snacks, you will not engage in mindless eating which can lead to weight gain. Split large portions. Ask your server how big the plates are, and don’t be afraid to share an entree with someone else or ask for half of it in a to-go box. Engage in some kind of physical activity on most days. Instead of taking the bus to a nearby location, walk there instead. Look for nearby walking tours or hiking trails to discover. By walking, you get to experience new places close-up while burning calories. Look for accommodations with a kitchen–think AirBNB. Traveling abroad doesn’t mean that every meal has to be consumed in a restaurant. Part of the fun in having a kitchen abroad is visiting farmer’s markets and buying local ingredients to create your meals. In preparing your own meals, you can choose the foods you love or would like to try, and give yourself the appropriate portions to avoid overeating. If don’t have access to a kitchen on your trip, see if you can order a mini fridge with your room to store some healthy snacks. You can also keep many breakfast foods, such as yogurt and cheese, in a small fridge. Pack healthy snacks. You can buy some nutritious snacks before you leave for your destination, or at local markets while you walk the city streets. Having healthy snacks on hand keeps you energized between meals as well as helps you avoid buying unhealthy snacks on impulse from street vendors. Drink sufficient water. Sometimes we mistake thirst for hunger and we grab a snack when really we need to hydrate. In addition, drinking water can help you feel full between meals to help you avoid snacking. Bring a durable reusable water bottle to keep with you at hand during your daily travels. Avoid buffets, if possible, or learn how to control yourself around them. If the breakfast buffet is too tempting, store some cereal or whole wheat bread, peanut butter and fruit in your room to help you start your morning right. If you ever find yourself at a buffet, think about appropriate portion sizes before you eat and stick to eating the amount you plan to eat. Remember to enjoy yourself! Being smart about eating and exercise during vacation can bring the best result: enjoying new experiences abroad while not having to worry about your weight. Bon voyage! Lisa Stollman, MA, RDN, CDE, CDN is the author of the ebook The Trim Traveler: How to Eat Healthy and Stay Fit While Traveling Abroad (Nirvana Press 2014) and The Teen Eating Manifesto (Nirvana Press 2012). She is a nationally-recognized and award-winning Registered Dietitian Nutritionist with a specialty in teen and adult weight management and diabetes. Lisa received her B.S. in Food and Nutrition and her M.A. in Clinical Nutrition from New York University. She consults with clients in Huntington, New York and on the Upper East Side of Manhattan. To find out more about Lisa or to book an appointment, please visit here. 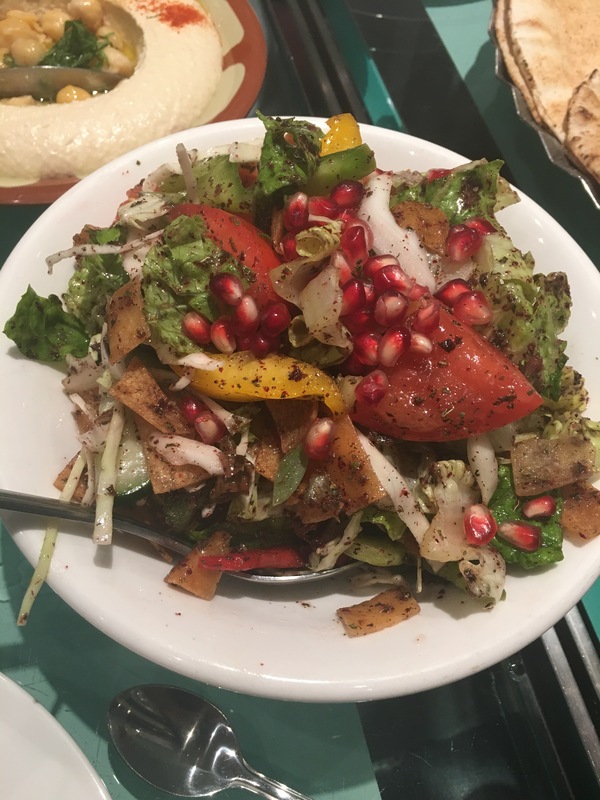 Special thanks to Anita Renwick, nutrition intern, for her wonderful contributions to this blogpost. March is National Nutrition Month and it’s a great time to put healthy eating into place. Spring is right around the corner which is a time of plants perking up from the soil and flowers budding. And warmer weather is on the way. What a great time to start making healthier food choices and to spend time truly appreciating the flavor of delicious food. Making better food choices can impact your lisfe in so many positive ways. Here are five simple tips to help you “savor the flavor” and make healthful eating part of your life. Take small bites. Focus on the flavor and texture of what you are eating. Chew slowly. Let the food sit on your tongue so you can truly taste it. Count to at least 20 before you swallow. You may find that when you feel the first sign of fullness, there is still food left on your plate. If dining at home, put your leftovers in the fridge and enjoy it tomorrow. If eating out, have the food wrapped up and savor it the next day in your brown-bag lunch. Make your food taste better. Instead of microwaving or steaming your vegetables, sauté or roast them with a little olive oil, chopped garlic, and a pinch of salt. Try different herbs and spices when cooking to enhance flavors and boost the nutrition power of your meal. Try cinnamon or ginger sprinkled on fresh cut-up fruit. Or turmeric and rosemary on grilled tofu and chicken. Pull up a chair and sit down at the table. Taking the time to sit and enjoy your meal will help you to become a “mindful eater”which can help you eat less and manage your weight. Plus, you’ll be reducing your risk for many chronic diseases, such as Type 2 diabetes, heart disease and many types of cancer, when you eat less. Add more fruits and vegetables to your daily diet. Visit your local farmers’ market or grocery store and purchase some produce you’ve never tried. Cut up fruit and add it to your salads, cereal, and yogurt. Roast an array of vegetables and have them as your meal, side dish, or add to salads. Lake Como in northern Italy is truly one of the most breathtaking spots on the planet. Just picture a large lake surrounded on one side by spectacular mountains coupled with winding roads and exhilarating hairpin turns lined with homes painted in various hues of terra cotta. Complete this vision with a beautiful green lushness of trees and flowers. Exquisite sums it up. 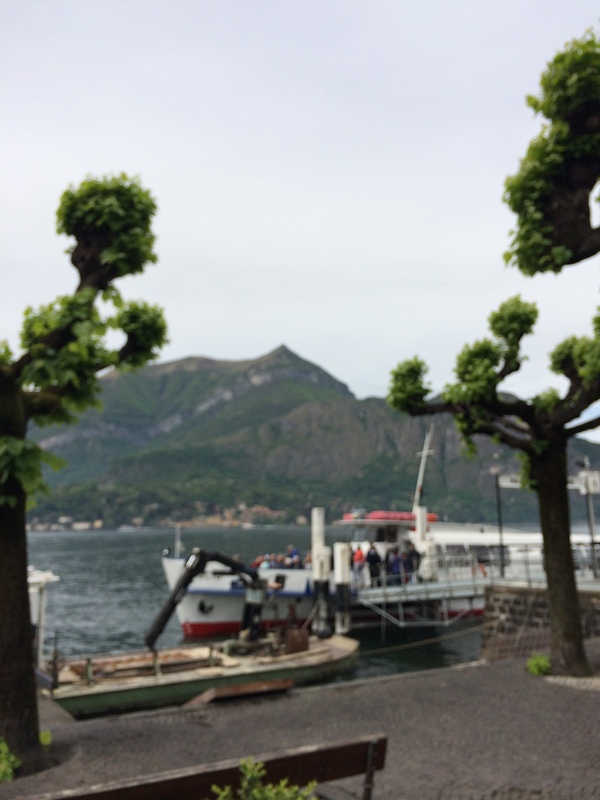 Lake Como is a great place to slow down, unwind and just take in the beauty. In addition to the postcard views, there are three other great reasons to visit this town. These include 1. fabulous food (this is Italy–there is always delicious food! 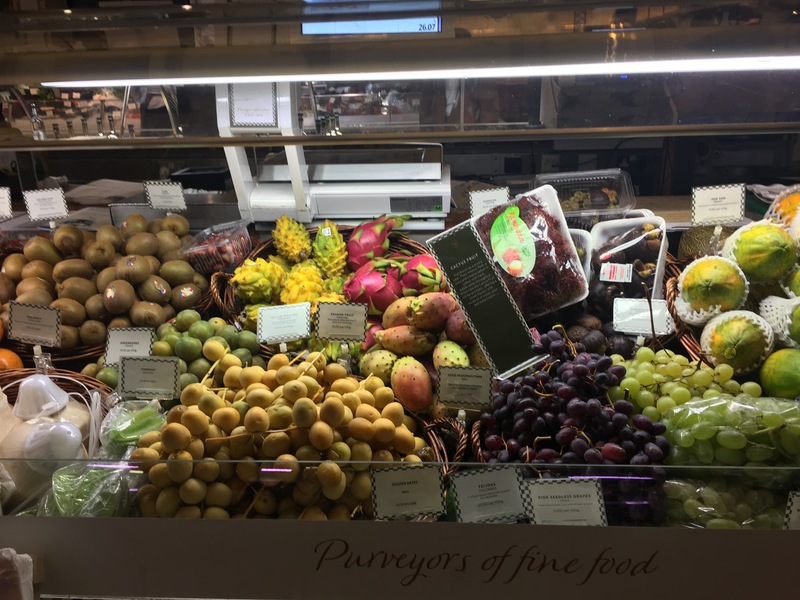 ), 2. shopping (Lake Como is famous for its’ silk–they even have an excellent silk museum that is definitely worth the visit) and 3. a terrific place to unwind and relax. It has a slow pace which is ideal when you need to lower the stress level from daily living back home. 1.Take the boat taxi that will take you around the lake to each town. You can get a day-pass and get on and off at your leisure. A great way to see Lake Como. Make sure to visit the magnificent town of Bellagio. Great shops, restaurants and fabulous lake views. 2. Visit the Silk Museum. Lake Como is the silk capital of Italy. The museum captures the history of silk making through the ages. From the cocoon through the finished product, you will walk away with an understanding of the background of silk. Fascinating. 3. Town of Como–quaint shops and outdoor cafes combine to be a great place to stroll and spend a nice afternoon. Many stores offer gorgeous silk ties and scarves. Acquadolce–Located on Lake Como in the town of Cernobbio. 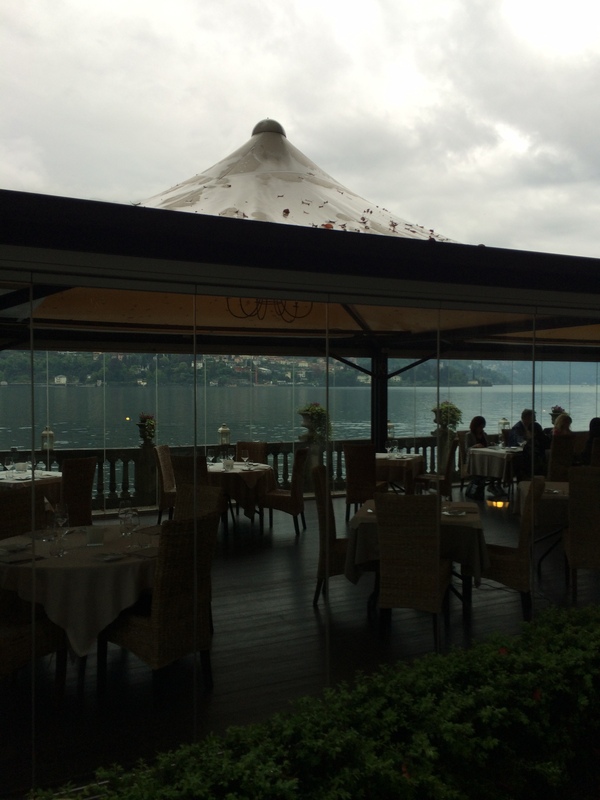 The restaurant is situated cliffside with dramatic views of the lake. And the food is wonderful. Delicious choices include chickpea soup with squid and pasta with baby artichokes. Wonderful grilled vegetables. 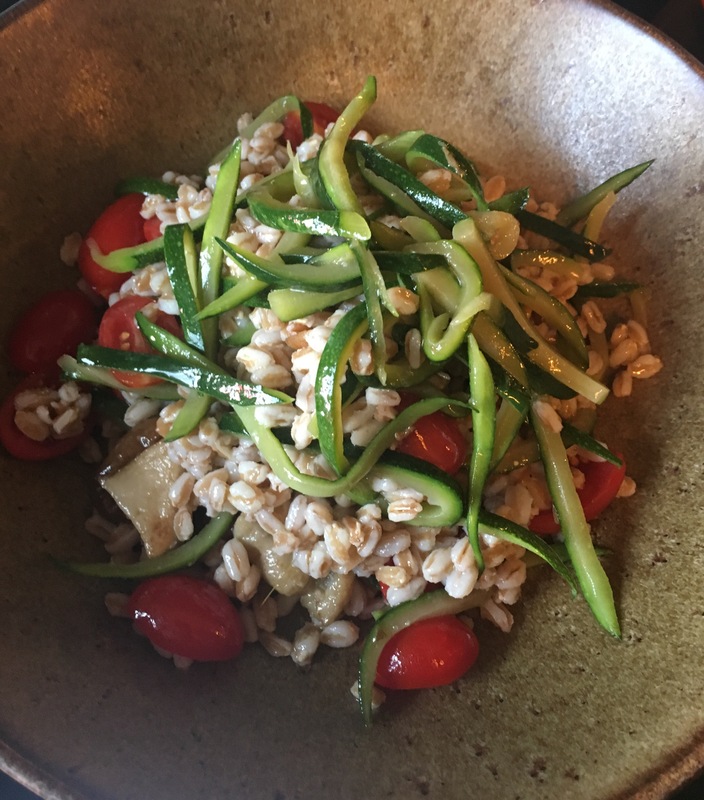 Ristorante Rico–What a wonderful gem hidden in the village of Como. Go for the delicious truffles, pasta and fresh seafood. 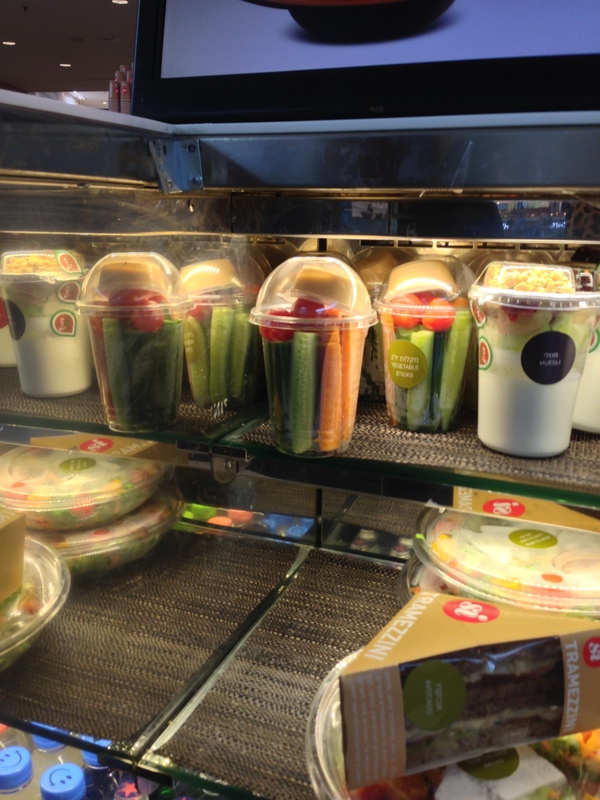 They also serve an array of wonderful vegetable side dishes (also know as contorni). It’s great to come back from vacation and not gain weight. So how can you do this? There are two simple tips to implement:1. Fill up on vegetables. Order a grilled vegetable plate at lunch. Or enjoy a salad with legumes or seafood. A grilled vegetable sandwich is also served regularly on the menu in northern Italy. The vegetables here are amazing, so take advantage. At dinner, again focus on vegetables. Have them as a main course or as a side dish. Do enjoy the pasta and pizza. They are great. But don’t have them everyday. 2. Walk. It’s amazing how much you can walk when you are sightseeing. All the steps you take while traveling will help you come home feeling great. 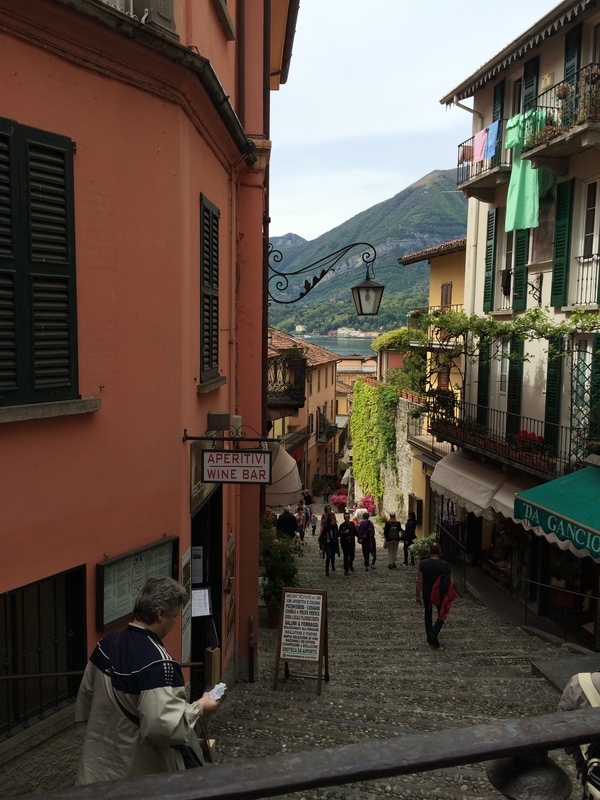 On my recent trip to Lake Como, we walked over 14,000 steps each day, without even realizing it. Use the outdoors as your gym! Lisa Stollman, MA, RDN, CDE, CDN is based on Huntington, Long Island and New York City. Her expertise is in weight management and travel nutrition. She was recently honored as the 2015 Distinguished Dietitian of the Year Award by The New York State Academy of Nutrition and Dietetics. To find out more about Lisa, visit here.